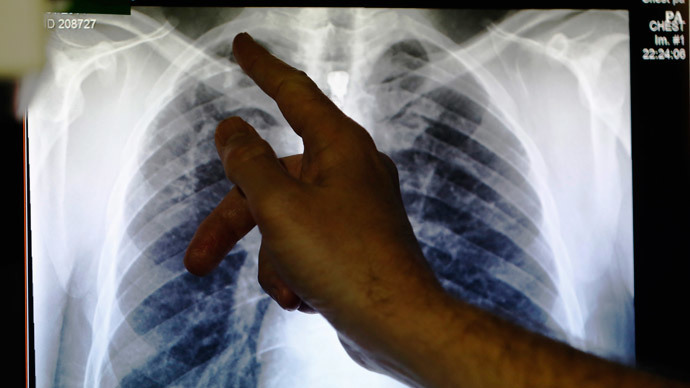 Health authorities have launched an £11.5 million plan to eradicate tuberculosis (TB) in the UK, which has been identified as the ‘TB capital’ of Europe. The multimillion pound plan from Public Health England (PHE), a government agency with the Department of Health, seeks to raise awareness about the disease among high risk populations, improve access to screenings and expand the London-based ‘Find and Treat’ mobile health unit. Despite a general decline over the majority of the 20th century, TB cases rose steadily from the late 1980s to 2005, and have remained relatively high ever since. TB rates in England are four times higher than those of the US. If current trends continue England will have more TB cases than the whole of the United States within two years. There were 7,290 incidents of the disease reported in 2013. Although a small decline has been measured in the past two years, health experts say it is too early to know if this is the start of a downward trend. London has the highest TB rates in Western Europe, with more than 40 percent of all UK cases being diagnosed in the capital. Nearly three quarters of TB cases that occur do so in those born abroad, usually in countries with high rates of the disease. The disease is also more common among the poorer segments of society. “TB should be consigned to the past, and yet it is occurring in England at higher rates than most of Western Europe,” said Paul Cosford, a PHE director. “This situation must be reversed,” he added. PHE plans to work alongside the NHS to tackle the disease. “Our goal is to eliminate TB as a public health problem,” said Bruce Keogh, NHS England’s medical director. He also said the NHS would contribute £10 million, which would be used on screening and treatment. According to the World Health Organization (WHO), TB is second only to HIV/AIDS as the world’s most deadly infectious disease. Nine million people around the world fell ill with TB in 2013 and 1.5 million died from the disease. TB is also the leading killer of HIV-positive people, causing one in four HIV-related deaths. On a global scale, efforts to cure the disease are paying off, with 37 million lives saved between 2000 and 2013. The global death rate has dropped 45 percent since 1990, which means the world is on track to meet the UN’s Millennium Development Goal of reversing the spread of TB by 2015.